Auto Lei� Packs "for 'da bigger kine projects!" 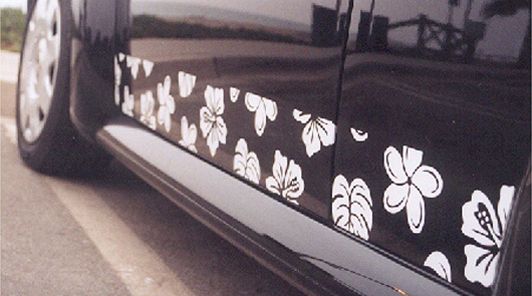 Our Auto Lei� Packs come in a variety of designs & combinations. We offer 4" combo packs: classic pak, girl pak & tropak. 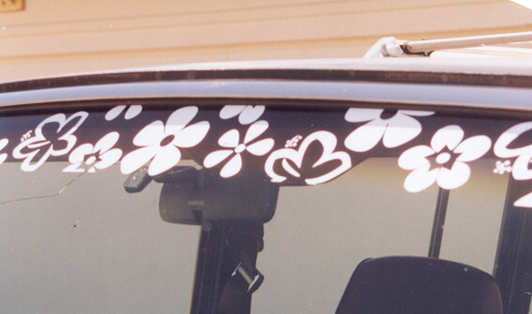 One pack is enough to Auto Lei� the top of your sunshield or the backside of your vehicle. It takes apprx. 5-6 packs to go around most larger SUV, vans, ect. All AutoLeis� Paks are sold in one color per Pak. 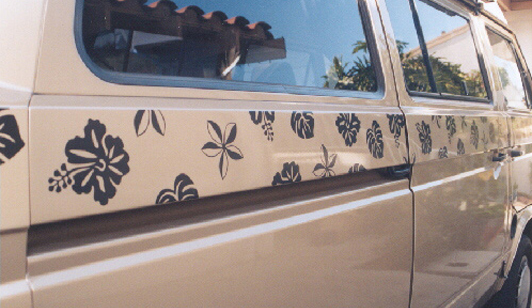 Use our packs with our individual designs giving you the ability to create & personalize your own unique Auto Lei�! 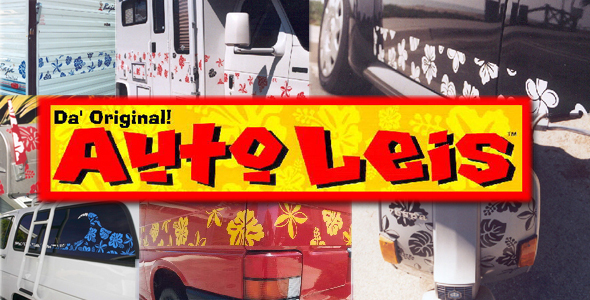 Not just for your vehicle, use our product on almost anything! check out samples below..... "eh, sticks on whatevahs!" The Classic Pak consists of 4 Classic Hibiscus, 3 Classic Plumeria and 3 Split-Leaf. The GirlPak consits of 4 Girl Hibiscus, 3 Bop, 3 Retro and 3 Betty. The Tropak consists of 4 Original Hibiscus, 2 Split-Leaf, 2 Original Plumeria and 2 Bird of Paradise. The GirlPak consits of 4 Girl Hibiscus, 2 Bop, 2 Retro and 2 Betty.